Everyone and everything is something. The shoes we wear, the breakfast cereal we eat, the authors we read, the company we work for, and the car we take to work – or the bus we ride – all have a very important thing in common: we choose them. In our consumer society, we make hundreds of such choices every day. We choose the coffee and the place to drink it. We choose the social media platform we use (or avoid). It may not be possible to go through a day without making at least one such choice. We are consumers – we use stuff that other people have made for us. The problem sets in with the sheer amount of choice available from which to choose. In the supermarket, if we want to buy spaghetti, we can buy Barilla, Del Castello, Agnese, De Cecco, Ronzoni, Knorr, Mulino Bianco, or any of a hundred more producers of spaghetti. How do we choose? A marketing guy would now start talking about words that start with ‘p’ – price, placement, product, and promotion. And he would be partially right. We choose by price level, by the products which we see better and more often, and by the attractiveness of the packaging (marketing guy should have mentioned that too!). The game-changer, however, is the Brand. When a product ceases to be a mere commodity, but rather becomes something that evokes an emotional response, a brand is born. With brands, we throw out all of the p’s and search for the brand when we do not see it, we pay for the brand without checking the price. The brand allows a product to not only be chosen but to be sought out. A good brand is much more than a product or service or any kind of commercially traded thing. Brands are born because in the mountain of choice we have in front of us, we do not know who to trust and what to choose. We turn more easily to familiarity, we start to assign it emotive value (“my” strawberry jam). Later on we associate ourselves more intimately with brands because they say something about the choices we make (I only wear Nike). A product becomes a brand when it transcends to a human level – we assign values to the brand, we think of it less as an item and more of a reflection on ourselves, even as an extension of ourselves. The best brands understand this process all too well, and they guide the consumer through the anthropomorphosis of their products. If, as a manufacturer, you decide to make a new kind of broom (for example), there are several ways of distinguishing your product from your competitors. Materially, however, a broom is a broom is a broom. Yours might have a good shape, feel, color, or price, but otherwise, its purpose is pretty much the same. Now make your broom into a brand. Give it a place of origin, a time-honored method of manufacturer, a designer’s name, and a history. 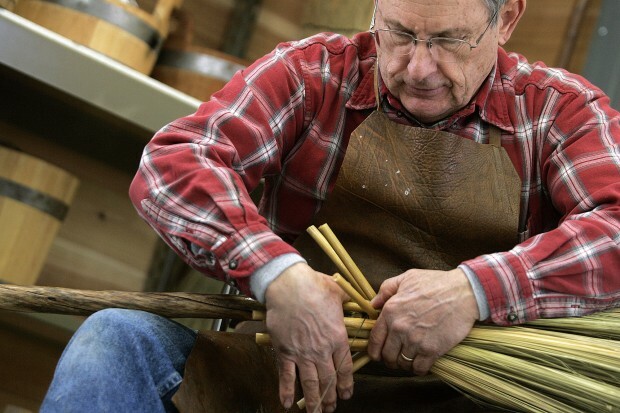 Suddenly your broom is more desirable because it was made in the Swiss Alps by generations of the Lugwig von Kassel family, crafted at no more than ten each day so as to ensure the quality of the hand-tied bristles. Moreover the von Kassel family is against the use of chemical additives or plastic parts. So now, sitting next to all the competitors on the shelf, you have an exotic, hand-crafted, environmentally-friendly sweeping implement. Broom, broom, broom, BRAND, broom. The Kassel Broom might also cost a little more, but the value added by the branding means that its buyers will not be taking price into consideration. A hurried consumer with shopping list, looking for the lowest prices anywhere, will ignore the Kassel Broom. But when he gets home and the plastic bristles fall out, he may wonder about that interesting model he swept past. Brands are about their stories. When we know the stories, they become part of our own stories. And then, in the real moment of transcendence, we begin to trust them as friends. This entry was posted in Branding and Communications. Bookmark the permalink.